Looks like the record has stopped for Terence Winter. Deadline reports the Vinyl showrunner has left the HBO series before the end of the first season. Created by Winter, Rich Cohen, Martin Scorsese, and Mick Jagger, Vinyl stars Bobby Cannavale as a record executive working in the 1970s. Olivia Wilde, Ray Romano, Ato Essandoh, Max Casella, and Juno Temple also star. Winter was reportedly “let go over creative differences.” He will be replaced by Scott Z. Burns, a feature film writer who has worked on The Bourne Ultimatum and Contagion. 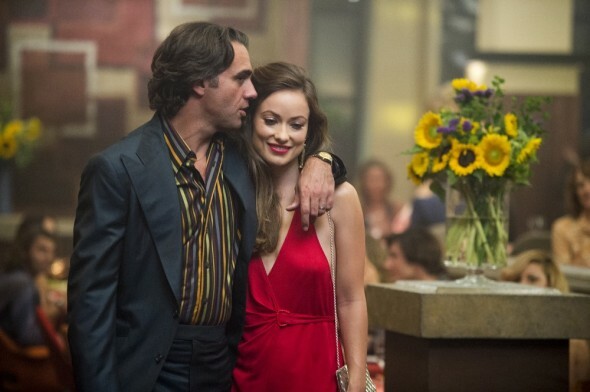 Vinyl is currently in the middle of its first season, but the series has already been renewed for a second season. What do you think? Are you watching Vinyl? Will you watch season two now that the creator is gone? More about: HBO TV shows: canceled or renewed?, Vinyl, Vinyl: canceled or renewed? Most people that watch Game of Thrones have never read the books and didn’t know of them before the TV show. Vinyl is horrific to watch, poorly written, and poorly directed, and the amazingly bad ratings reflect that.